China has announced it will impose tariffs on 106 U.S. products, the latest shot fired in a brewing trade war between the two trading partners. The announcement follows the Trump administration's announcement that it will impose tariffs on a number of Chinese products, including components used in technology and aerospace. So far, it's not a trade war, but few are ruling out the possibility that it could turn into one. Should that happen, consumers most likely would end up as the victims. Tariffs are imposed on imports when the importing country believes the imports are priced too low, putting domestic producers of the same product at a competitive disadvantage. The tariff paid by the foreign producer becomes a cost that almost always gets added to the retail price when it goes on sale to the consumer. The newly-announced U.S. tariffs are not on Chinese products sold directly to consumers. For example, the White House did not announce new import duties on shoes and clothing from China, which are staples of discount stores in the U.S. Tariffs on those products would have raised prices for consumers. However, the tariffs on electronic components could eventually raise the retail prices for television sets, tablets, and computers. 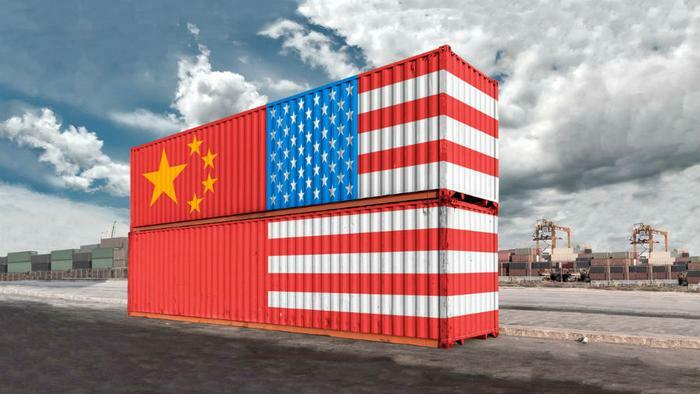 According to an analysis by Bloomberg News, the list of Chinese products targeted for a 25 percent tariff appear to have been chosen with care. The tariffs target products that appear to have received significant support from Chinese government policies. They also appear to exclude products that would have hit consumers hardest. Since China's exports are heavy on the consumer product side, analysts say that could give China an advantage should the current trade dispute ratchet up to the trade war level. Tariffs on steel and aluminum, announced last month, are more likely to have a deeper impact on consumers. Economists say the tariffs are likely to increase prices for the two metals, making everything from cars to barbecue grills more expensive for consumers. Consumers who are also investors are already feeling the pain from the threat of a trade war, as stocks have sold off sharply since the tariffs were imposed. The Dow Jones Industrial Average lost 700 points Monday and was poised to open sharply lower today.